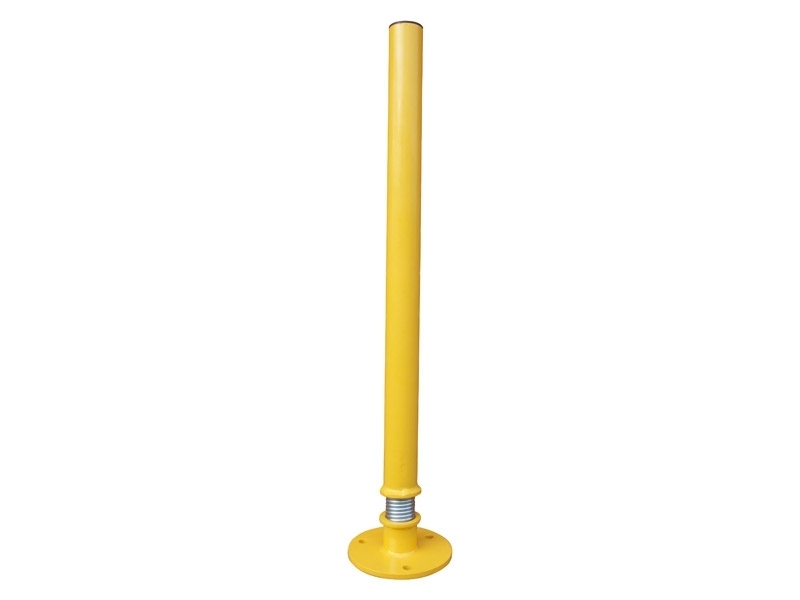 This bollard is ideal for use in temporary and permanent car parks, and along footpath and pedestrian areas. The bright yellow colour is attention-grabbing and highly visible, which means this parking post will grab a driver’s attention. Additionally, the parking post is designed to snap back into the vertical position after impact and is surface mounted. This product is one of the steel bollards designed to be used by business and property owners that want to protect their parking areas and provide clear boundaries for drivers. When a driver dings his or her car on a rigid parking post, the driver often becomes angry with the person who owns the post. With this parking post, however, drivers will not damage their cars and business and land owners can rest assured that parking areas are clearly marked. A complimentary addition to any kind of parking premises are parking barriers, removable bollards, and telescopic bollards.